Understanding mooring lines starts with knowing how they are being produced. Various materials and constructions are available, and it is important to choose the right one to protect your superyacht. 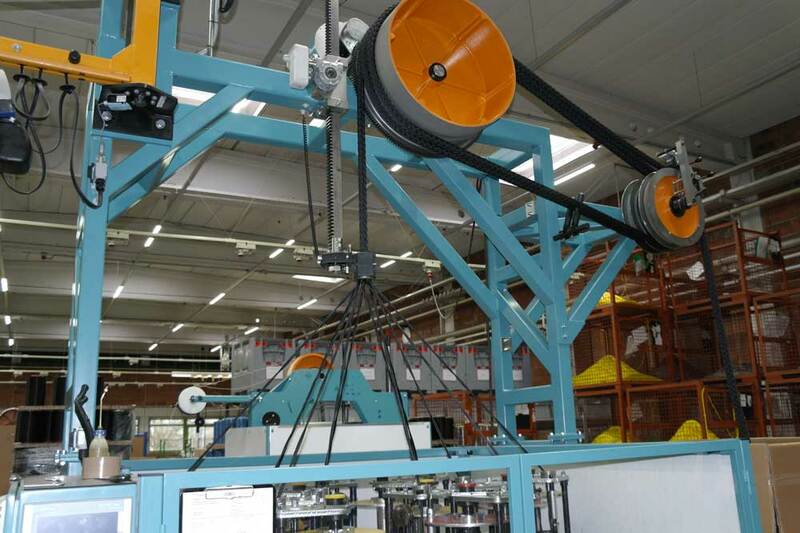 Producing high quality mooring lines starts with the right material in both cover and core. More Marine supplies Gleistein ropes and the M-ropes range for superyachts. This gives us the option on supplying the right product against the right price. 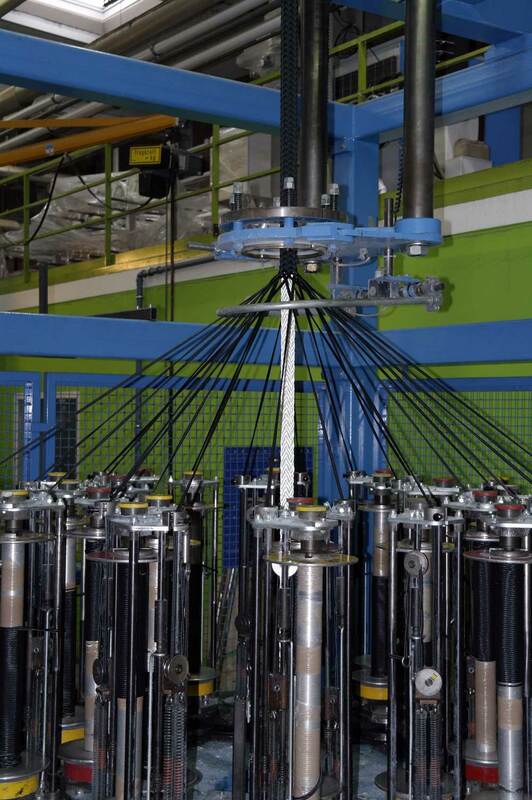 Both Gleistein and M-ropes are using the best hi-tenacity polyester yarns in order to ensure a good abrasion resistance and high breaking load on our mooring lines. The right construction and production is needed for good stretch characteristics. Every mooring line starts with a small flat yarn. These yarns are hi-tenacity polyester in case of our polyester ropes. 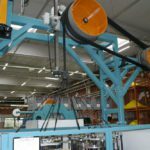 The flat yarn is being twisted on special twisting machines. This process is really important for the performance of the rope. 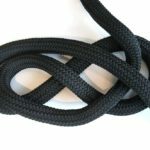 More twist means more abrasion resistance, but also a stiffer rope. Generally the yarns in the cover are more twisted, and the core yarns are less twisted since they need good stretch and keeping the rope flexible. The yarns can be twisted clockwise or anti-clockwise, we call this Z and S twist. A close look at the yarns in the cover of the rope clearly show these are combined in the cover. 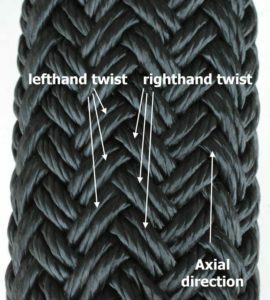 For a good abrasion resistance it is very important the small yarns are alighned in the axial direction of the rope, creating less friction when the rope runs on an edge, fairlead or winch. For thicker strands, several yarns are twisted together until the desired thickness has been achieved. The yarns are now spooled on special spools for the braiding machine. 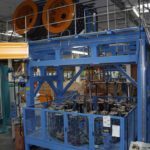 The doublebraided mooring lines we supply generally have 12 strand in the core, so 12 spools are needed, and 32 strand in the cover, needing 32 spools on the machine. 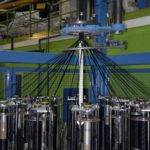 The core is being braided as a 12-strand rope which is fase 1 of the production. Cores can be either black or white. We prefer the white core since this makes it easier to identify damages in the cover since the contrast of the white core is visible against the black cover. The 12-strand core is being braided in 6 pairs of 2 strands. The core needs to be flexible and softly braided to give as much stretch as possible. The 12-strand polyester core of the dockline is being spooled on big spools to be ready for braiding the cover around it. 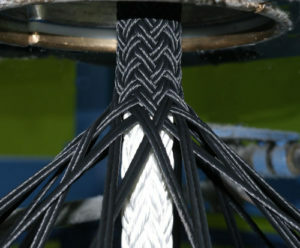 The cover is braided on a similar way as the core. The main difference is the number of spools, and thus the number of stands. 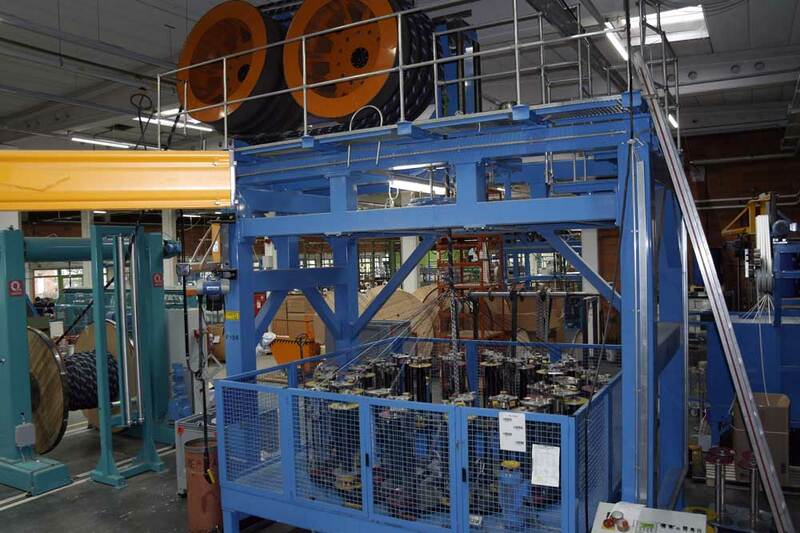 The core is being pulled through the centre of the machine making it a doublebraided rope. 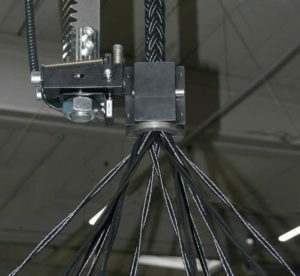 12-strand ropes are all being produced in a similar way, except they don’t have a cover around it. 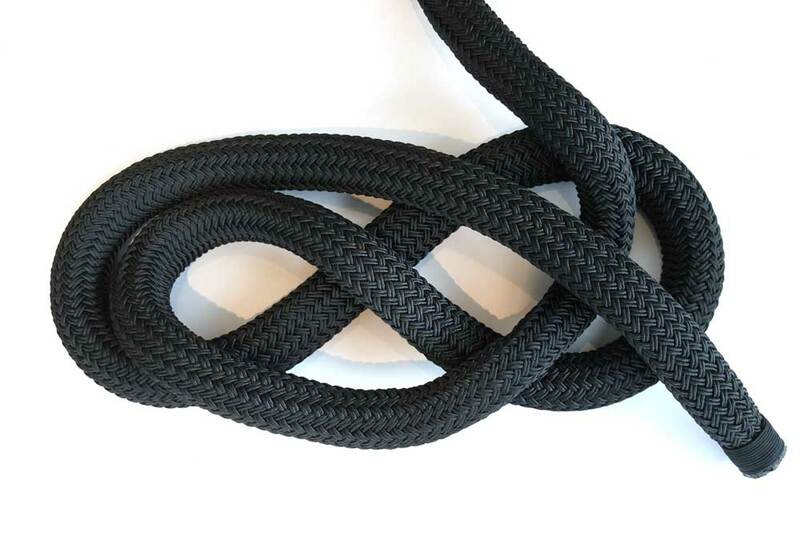 In case of 3-strand ropes, every strand is being twisted, which creates the 3-stranded rope. Also in here the amount of twist is key to the characteristics of the rope. Are you interested in a quote for new mooring lines? Please check our assortment.